The cleaning & maintenance of a bike chainset is essential to keeping the best possible shifting performance. In addition, standing dirt & grit on the bottom bracket penetrates seals far faster than if it were given a swift clean at the end of a winters day ride. This simple level of maintenance can never be as comprehensive as it should be without removing your cranks with a crank extract tool - or a pair of Middleburn self-extract bolts. With Middleburn's self-extract bolts all that is required is a 6mm allen key - simple. Anti friction washers ensure minimum effort is required. 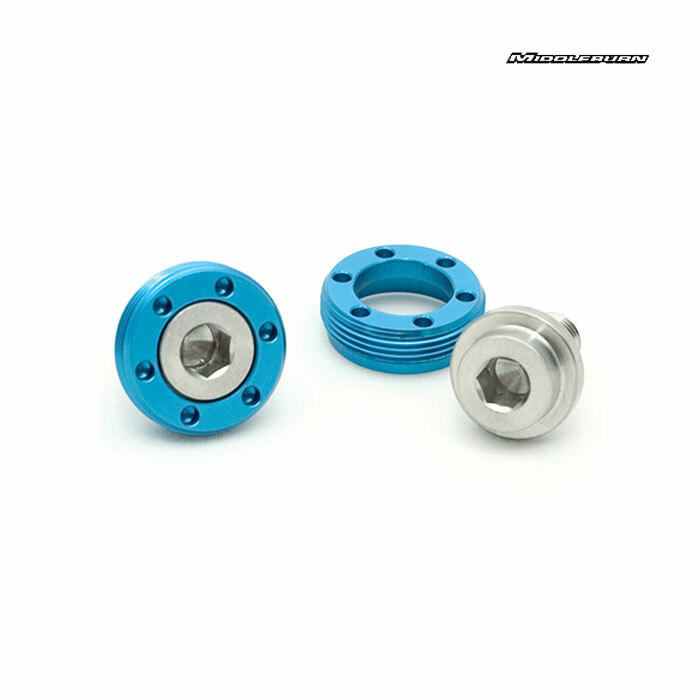 With the bolt sets available in a range of colours they also provide you with the finishing touch to any bike. can I use this with my KCNC crank set? You will need to confirm the thread of the bolt and the self remover. It seems these are compatible and better than the original crank bolt that come with the Truvativ X0 carbon cranks [trail], which have dimensions M15/M26. Am I correct? Unfortunately these bolts won't fit your cranks as the outer cap is only M22 so is smaller in diameter than your original ones.